Former U.S. Senator George McGovern was laid to rest in his native South Dakota last week. Tributes have appropriately filled the national media to mark his passing. I had the pleasure of knowing George McGovern so I would like to add one more. We first met in 1976. Because I had worked for Richard Nixon, who defeated McGovern as the Democrat’s standard-bearer in 1972, we had many conversations about that contest. They began when I was covering the 1976 Republican National Convention in Kansas City for Rolling Stone Magazine, and I sought out Senator McGovern. I did not need to talk to McGovern to cover that convention but it gave me a pretext to do so, and he was gracious to invite me to his Senate office for a visit. Upon first meeting I was struck by the fact that McGovern was a better-looking man in person than his pictures. He was tall, athletically trim, and his face much more angular than revealed by a camera. During this first conversation in his Senate office—and I can still see him seated in front of his desk, wearing a dark blue suit, crisp white shirt, and red necktie—he struck me as remarkably presidential. After a few pro forma questions about the business of conventions in general, and the 1972 Democratic National Convention in particular, we began a conversation about the 1972 presidential campaign that extended for years. 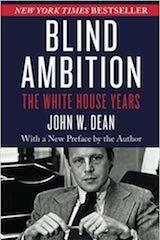 Over time, I believe I was able to answer most of his questions about the Nixon White House. At one point in our first conversation he wanted to know why and how I had become interested in government and politics. I told him my interest had grown from visiting Washington, and the offices of Republican Senator Barry Goldwater of Arizona, while in high school. (Senator Goldwater’s son and I had been roommates at prep school in Virginia, and we stopped by to visit his dad during vacation breaks, and the Senator had given us occasional tag-along tours.) McGovern noted that no two members of the Senate were further apart politically than he and Barry Goldwater, yet he considered Goldwater one of his closest friends in the Senate. Not long thereafter, I learned from Senator Goldwater that the feeling was mutual. Notwithstanding their political differences, this was a time and these were men who were much more than their politics and political ideologies, and accordingly, they developed close personal friendships with colleagues, which on many occasions enabled them to work out their political differences for the good of the nation. 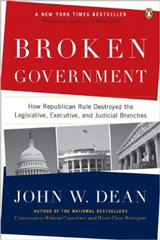 McGovern left the U.S. Senate in January 1981 but not public life nor public service. Over the years we had a number of have chance encounters but none was more memorable than in New York City, during a luncheon at Michael Jordan’s Steak House in Grand Central Station, in 2003. “The Week” Magazine had leased the restaurant to publicize their news-summary magazine in the United States, and I was on a panel of speakers. Totally unaware that McGovern was in the audience, someone asked me what I thought of Nixon’s 1972 opponent, and I responded that I had first met Senator McGovern when doing my Rolling Stone piece, and found him more presidential than the president for whom I had worked. 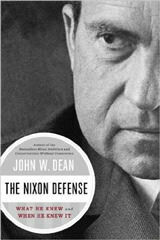 I described why I had reached that conclusion, mentioning such matters as: It was clear that McGovern did not need a “talking paper or points” to visit with a stranger, as Nixon did. McGovern had nothing small or petty to say about others, as Nixon always did, even with strangers. Nor was he self-important like Nixon, rather strikingly modest. Finally, I noted that George McGovern was not anything like the character Nixon had portrayed him in the 1972 campaign, particularly the effort to paint him a coward because of his opposition to the war in Vietnam. To make this point I explained that Senator Goldwater had told me of his admiration for McGovern, confiding that he actually considered endorsing McGovern in 1972 to tweak the GOP and Nixon, because McGovern was correct that the United States was not going to win the Vietnam war so it should be ended (they were not seriously fighting it) and that he found it offensive to suggest McGovern was a coward (when he had flown 35 death-defying combat missions over Europe in World War II). In Goldwater’s view McGovern was as brave as any man as he had ever known. Goldwater, who because of bad eye-sight had been denied combat duty during WW II, had ferried P-47s across the Arctic Ocean from the USA to Europe which was not for faint-of-heart either. Following the luncheon panel, to my surprise, a smiling George McGovern came over to say hello, and to thank me for my remarks. 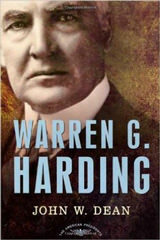 He was with Arthur Schlesinger, Jr., who had asked me to write, and then had edited, my biography of Warren G. Harding for his “The American Presidents” series. Arthur invited me to join George at his home later that afternoon, which we did for a memorable conversation. McGovern and Schlesinger were long-time friends, having known each other from their days together on President Kennedy’s White House staff. 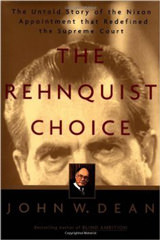 Schlesinger was trying to convince McGovern to do a biography of Harry Truman for his series. McGovern, a historian by training and early profession, wanted to do Abraham Lincoln. It is a shame there is no recording of their conversation: Two sophisticated historians, both PhDs and true-blue Democrats, debating whether McGovern should write the biography of a classic Democrat, Harry Truman, versus the first Republican president, Abraham Lincoln. It was fascinating. Ultimately, McGovern prevailed, although Arthur did not live to see the Lincoln biography because of George’s rather heavy schedule. From his departure from the Senate until he became physically unable to continue (after a fall earlier this year), McGovern worked tirelessly in the cause of world hunger. Growing up during the Great Depression he had been exposed to hunger, but it had been as an American serviceman in Italy during World War II where he had witnessed hunger at it worst, that made it his life’s work: As a U.S. Congressman from South Dakota (1957–1960); as Director of the Kennedy Administration’s “Food for Peace” Program (1961–1962); and as a U.S. Senator (1963–1981) hunger was a problem he never stopped trying to solve. President Clinton appointed him U.S. Ambassador to the United Nations Agencies for Food and Agriculture and McGovern joined with former Republican Senator (and GOP presidential aspirant) Bob Dole to create the McGovern–Dole International Food for Education and Nutrition Program. 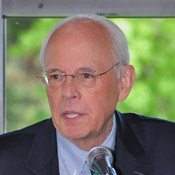 In 2001 McGovern became the first UN Global Ambassador on World Hunger, and later a United Nations Goodwill Ambassador, traveling the world to deal with hunger, until forced to stop. In 2009 I had an email from Patricia Kelly, wife of the late Gene Kelly and a long-time friend of McGovern’s. Patricia said George was interrupting his world travels to come to Los Angeles to promote his Lincoln biography and wanted to say hello. He had not forgotten I had been there when he took on the project. I told her that I had just published, again, and had a number of engagements in the Los Angeles area, and asked if George would like to join me at my events. George did just that to the pleasant surprise of my audiences and to my delight for we had a lot of fun doing these events, not to mention a chance to visit before and after them. 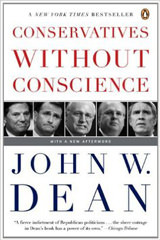 McGovern had read several of my books, which we discussed. 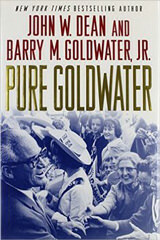 When he said he wished he had time to write more (although he wrote or co-wrote thirteen books), I gave him a copy of the book I had done on our mutual friend, Senator Goldwater, which was based on an unpublished diary, significant parts of which had been written or dictated when Goldwater was flying to the far corners of the earth. George noted that was just like Goldwater not to waste time, and reported that he too had used his flights as an opportunity to gather his thoughts and make notes, about Lincoln. Indeed, as I read McGovern’s biography on Lincoln I found it more a mediation on the man George believed was our greatest president, and, with the benefit of his comment, I understood where he had collected the considered thoughts that run throughout the work. Ironically, during our tour of Southern California, McGovern told me of his last visit with Goldwater, a conversation that came to mind when I learned of his failing heath in the days before his passing. 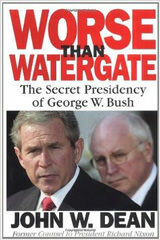 George had told me that in May of 1998, when giving a speech in Phoenix to a group of bankers, he called Goldwater. They had not spoken, nor seen each other, in several years. Barry invited him out to the house. Goldwater (at the time 89 years of age, some 12 years McGovern’s senior) was delighted to see his old friend, and they had an extended conversation. George told me he had mentioned to Barry at one point he was becoming weary from his travels, but Goldwater had protested, and admonished him to keep traveling as long as he could, facetiously adding, it was not only damn boring to stay home but Goldwater worried it would kill him. Two weeks after their conversation, McGovern said he learned Goldwater was dead—which he punctuated with the observation, that now at 87 years of age, he knew why. R.I.P. George Stanley McGovern, it was a pleasure to know you, and to have had a chance to thank you for your public service.